Tying the knot at a country club or resort in New England? 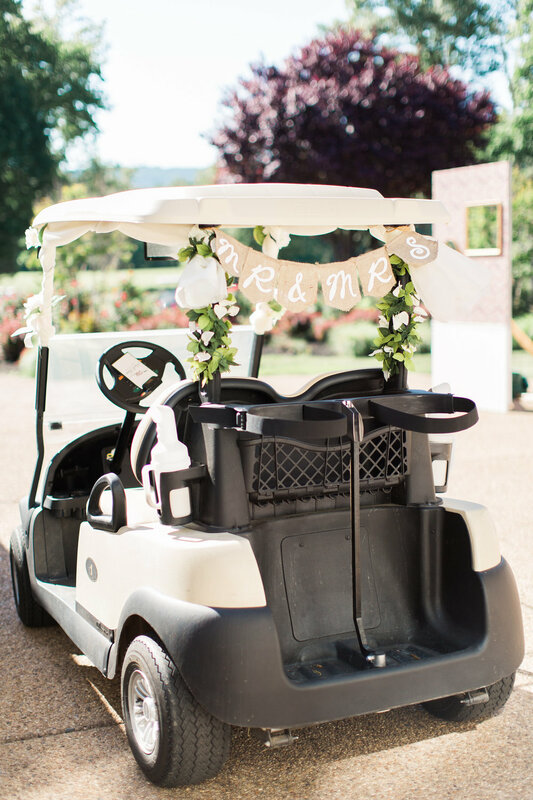 Reserve one of CCE's exclusive wedding golf carts for uniquely fun and beautiful transportation for your special day. We maintain a select number of beige Club Car Precedent model carts specifically for our wedding rental program, taking exceptional care of them, preserving their beauty and ensuring smooth, worry-free operation on your big day. CCE has been an award-winning authorized dealer for Club Car for over 35-years, and we cover all of New England. Our company exceeds industry standards for quality inventory, parts/accessories and service. The CCE experience is unmatched.